What options will Veeam offer to protect Alibaba Cloud workloads? How do you backup Alibaba ECS (Elastic Compute Service) instances? 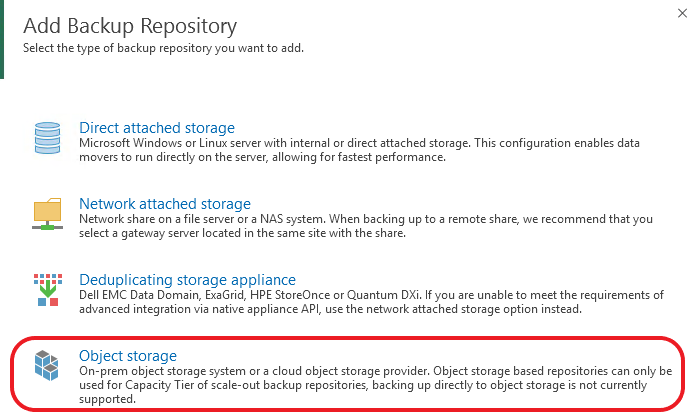 And is possible to use Alibaba OSS (Object Storage Services) to archive your Veeam backup? Veeam Update 4, released on 22 January, not only introduced a new product feature; but also introduced a new Cloud Services integration. In this blog, I will discuss the integration of Veeam Update 4 with Alibaba Cloud. 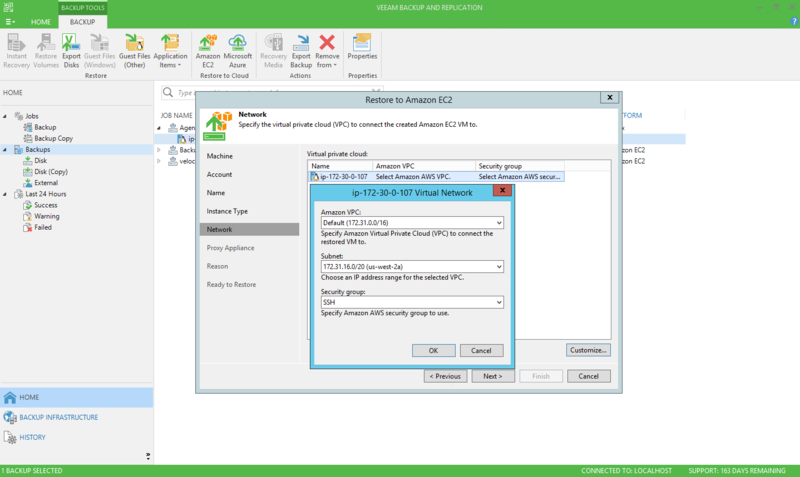 Integrate Veeam with Alibaba VTL. In this blog post, I will focus on Veeam and Alibaba OSS integration to keep the blog short and focused. On future blog posts, I will discuss Veeam Agent protection and VTL. 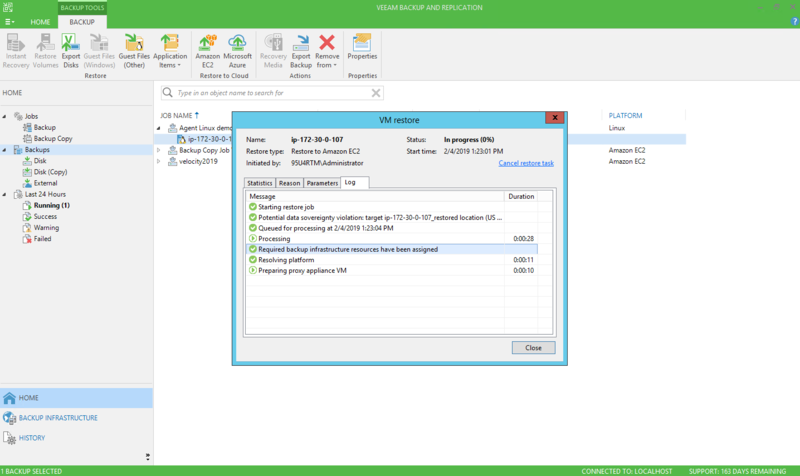 Veeam Archive/Capacity Tier is a newcomer to the Veeam suite and is included in Update 4. The good news for those customers using Alibaba Cloud is that Alibaba OSS is supported out of the box. As an Alibaba customer, you can add your OSS bucket as part of the Veeam Scale-out-backup-repository to archive your aging backup to your OSS for longer retention. Add Alibaba OSS as a repository. The process to add Alibaba OSS to the Veeam infrastructure is very simple. The process starts by adding a new repository, as shown in the following screenshot. Next, name the new OSS repository, then press Next to enter the Service Point URL (OSS URL) and the credentials on a form of Access Key and Secret key. See the screenshot below. 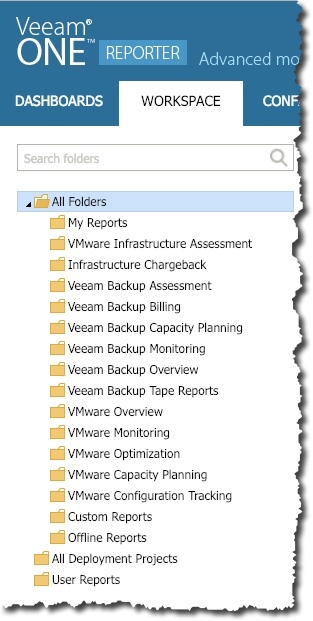 The final step in this process is to create a folder where you will save your Veeam backups. See the screenshot below. Before you finalize the process, you take the opportunity to limit the OSS consumption. See the settings in the screenshot below. Now press Finish to complete the process. In this blog post, I discussed the integration of Veeam and Alibaba OSS, walking you through the steps to add Alibaba OSS to Veeam infrastructure as a repository. To use the OSS as an Archive/Capacity target, you must configure a Veeam Scale-out-Repository (SOBOR), then include the OSS part of the Capacity Tier configuration. See the screenshot below for the setup. On a future blog post, I will keep the discussion around Veeam and Alibaba Cloud, and the topics I will discuss will be Veeam and Alibaba VTL and Alibaba ECS Agent protection. Until then, I hope this blog post helps you get started. Please don’t forget to share. The post Veeam and Alibaba Cloud – OSS Integration appeared first on CloudOasis. Backed by a whopping $500 million in new funding, Veeam has an eye-popping growth plan in 2019 that includes multiple acquisitions, driving Office 365 channel sales, and major partner investments. Veeam is coming off a record-breaking 2018, with bookings totaling $963 million, up 16 percent year over year. The data protection and management software star added 48,000 new customers last year with similar growth plans in 2019. 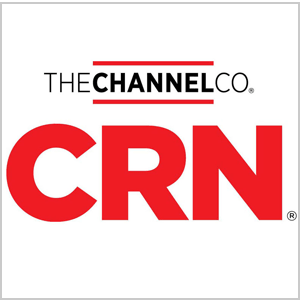 In an interview with CRN, Timashev talks about Veeam’s fastest growth area in the company’s history, M&A strategy, the “war” for hybrid cloud dominance, and the serious issue with customers buying public cloud solutions without any backup. 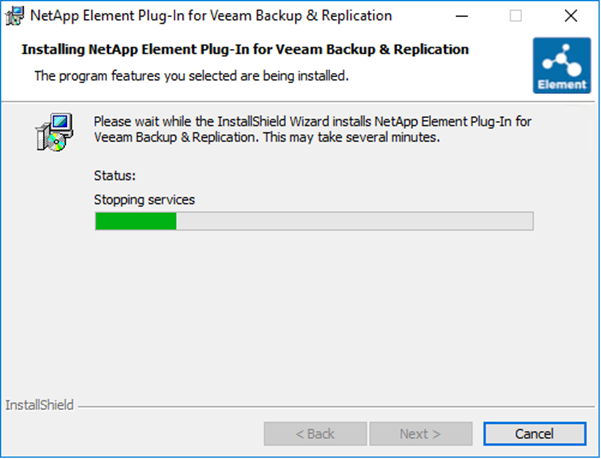 With the recent GA release of Veeam Backup & Replication 9.5 Update 4, the next storage integration also arrived, leveraging the Universal Storage API that was released late 2017 the list continues to grow. Here is an overview of the integration points previously I wrote about. 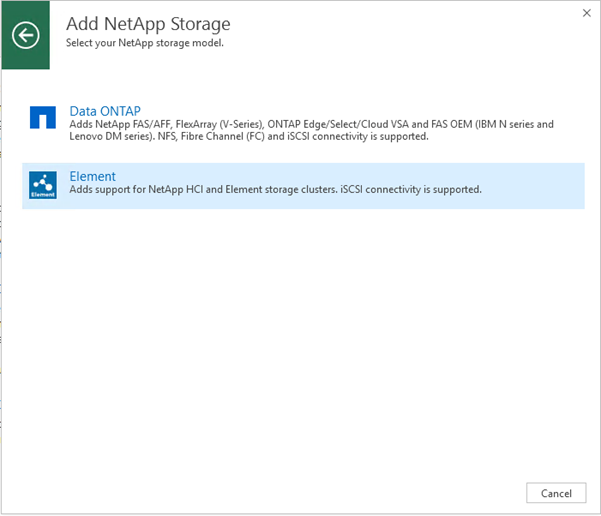 Functionality is covered in the post linked above, I wanted to take this time to highlight the simple process of getting your NetApp HCI or SolidFire storage added within your Veeam Backup & Replication console. Before you begin you need to make sure you have added your vSphere environment this will unlock the Storage Infrastructure tab. This week some of my posts are focusing on Veeam Community Edition, I will be running through the process of adding storage within this free edition, this allows even the community edition to have visibility and some control in to some of your historic snapshots that were not even created by Veeam, as well as the ability to recover some items from those snapshots. As you can see from the above, we have a clean Veeam Backup & Replication install with our VMware environment added but in the shot above you see we have no storage integrations currently added to our Veeam Backup & Replication console. To add we need to select the Add Storage. Next up you will see the long list of available storage integrations that are available along with the link to download any of the additional Universal Storage API plug ins. For us we can select the NetApp option below. 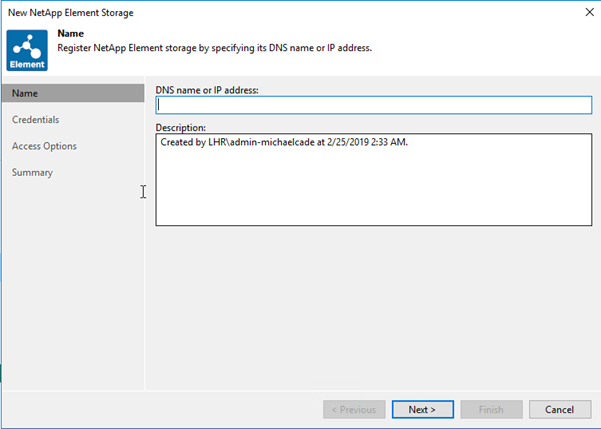 On this next page you will see Data ONTAP which we have covered a few times in previous posts, but the one we are interested in today is Element, Element is the operating system that is used on both SolidFire and NetApp HCI storage. 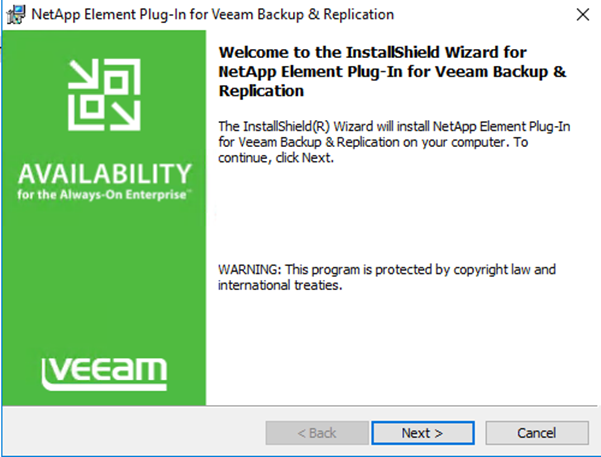 The element option is a link to the Veeam website where all plug ins can be downloaded. Authenticate with your account or create an account to see those available downloads. Scroll down until you find the following screen, this is applicable for all Veeam Universal Storage integrations, here you will find the downloads for all. Select and download the NetApp Element Plug-In. The plug-in once downloaded will be in the form of a compressed file, extract this into an appropriate location. You will see once extracted, it is an application file type that can then be ran, I always choose to run as administrator. 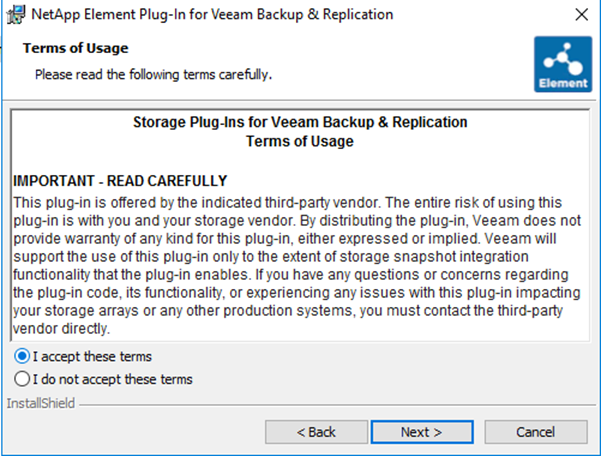 If you have not closed down all your Veeam Backup & Replication consoles then you will first of all get the following warning which will not let you proceed until all consoles are closed. 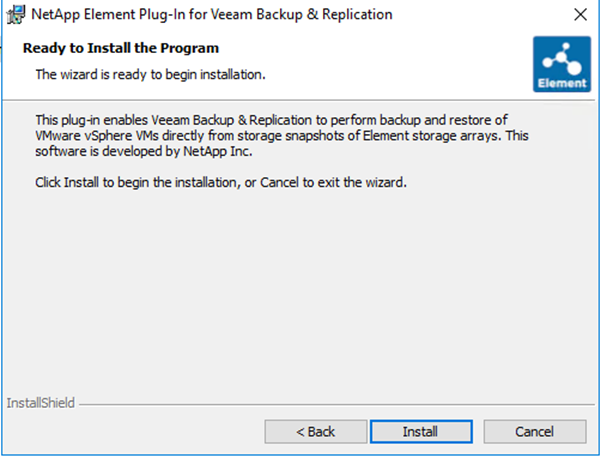 Next is a pretty straight forward wizard, its Veeam we wouldn’t make this complicated would we. Next. Terms of usage, let’s make sure we all spend our time and read through this. It after all states in block capitals that this is IMPORTANT – READ CAREFULLY. When you are happy with the terms of usage, your tray table is stowed, your seat in an upright position and your seat belt fastened you can proceed with the installation. A note to mention is that this is going to stop some Veeam services, as a best practice you should disable your jobs before running the installation. Don’t worry it does start them again once installed. Just remember to re-enable the jobs after. In my lab I have no jobs running currently and it doesn’t take long at all. Ok so that’s the plug-in installed on your Veeam Backup & Replication server. Pretty simple straight forward stuff. Now let’s head back into our Veeam Backup & Replication console and we can add our NetApp HCI / SolidFire system. Follow the first four steps of the post above to get back to this stage, but this time we know we have the software downloaded and installed. First up add in your management IP of your system. 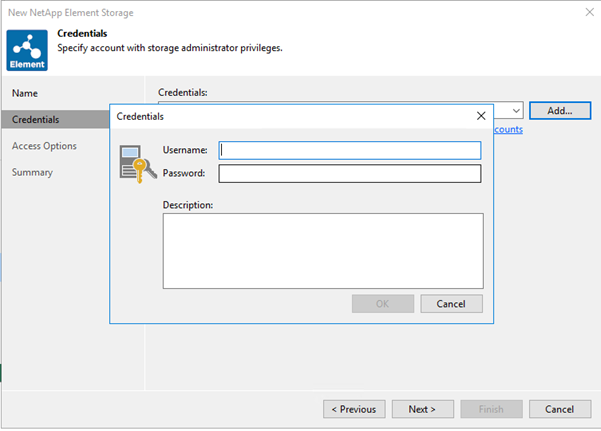 Provide the credentials to access the storage system. The next options are around protocols available, volumes to be scanned and which of our proxies should we use or that have access to the storage array. Volumes to scan, if you have volumes other than VMFS datastores for your VMware environment you may wish to remove them from the scanning schedule here. Backup Proxies to use, this ensures that only certain proxies that have the capability of accessing the storage system are used. By default, all proxies will be used or attempted. That’s it, confirm the summary of the system you are adding, once hitting finished here. Veeam is going to run a scan against the volumes for VMware VM files. The next screen / pop up is now discovering the storage system. It’s going to scan for all VMFS volumes located on the storage array. 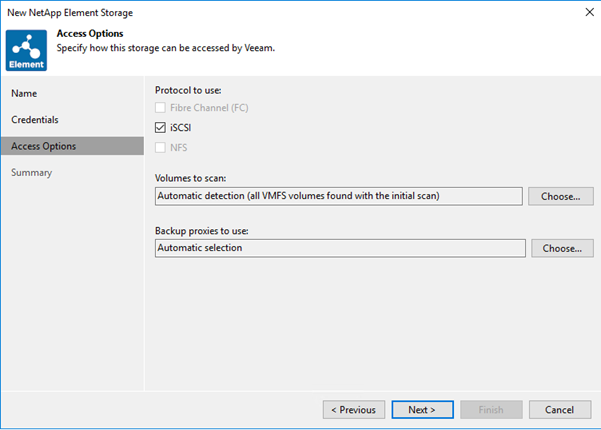 Another Veeam server has been orchestrating snapshots but with this instance of Veeam Backup & Replication we have the ability to look inside of those volumes and snapshots and see the VMs available for recovery options. We can also perform a level of restore against those. I will follow up in another post what else we can do now we have our NetApp HCI system visible to our Veeam Backup & Replication server. Yes, we can backup from it and restore but there are also some more very interesting features that we can take advantage of including Veeam DataLabs. While many organizations have understood the importance of the 3-2-1 rule of backup in getting at least one copy of their data offsite, they have traditionally struggled to understand the value of making their critical workloads available with replication technologies. Replication and Disaster Recovery as a Service (DRaaS) still predominantly focus on the Availability of Virtual machines and the services and applications that they run. The end goal is to have critical line of business applications identified, replicated and then made available in the case of a disaster. The definition of a disaster varies depending on who you speak to, and the industry loves to use geo-scale impact events when talking about disasters, but the reality is that the failure of a single instance or application is much more likely than whole system failures. This is where Replication and Disaster Recovery as a Service becomes important, and organizations are starting to understand the critical benefits of combining offsite backup together with replication of their critical on-premises workloads. While the cloud backup market has been flourishing, it’s true that most service providers who have been successful with Infrastructure as a Service (IaaS) have spent the last few years developing their Backup, Replication and Disaster Recovery as a Service offerings. 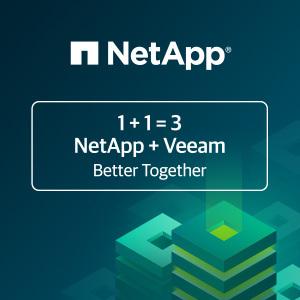 With the release of Veeam Backup & Replication v8, Cloud Connect Backup was embraced by our cloud and service provider partners and became a critical part of their service offerings. With version 9, Cloud Connect Replication was added, and providers started offering Replication and Disaster Recovery as a Service. Cloud Connect Replication was released with industry-leading network automation features, and the ability to abstract both Hyper-V and vSphere compute resources and have those resources made available for tenants to replicate workloads into service provider platforms and have them ready for full or partial disaster events. Networking is the hardest part to get right in a disaster recovery scenario and the Network Extension Appliance streamlined connectivity by simplifying networking requirements for tenants. VMware vCloud Director has become the de facto standard for service providers who offer Infrastructure as a Service. While always popular with top VMware Cloud Providers since its first release back in 2010, the recent enhancements with support for VMware NSX, a brand new HTML5-based user interface, together with increased interoperability, has resulted in huge growth in vCloud Director being deployed as the cloud management platform of choice. 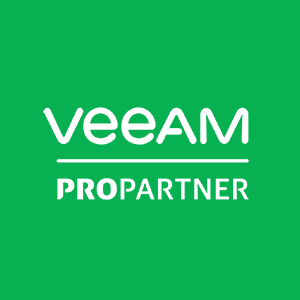 Veeam has had a long history supporting vCloud Director, with the industry’s first support for vCloud Director-aware backups released in Veeam Backup & Replication v7. With the release of Update 4, we added support for Veeam Cloud Connect to replicate directly into vCloud Director virtual data centers, allowing both our cloud and service provider partners, and tenants alike, to take advantage of the enhancements VMware has built into the platform. By extending Cloud Connect Replication to take advantage of vCloud Director as a way to allocate service provider cloud resources natively, we have given providers the ability to utilize the constructs of vCloud Director and have their tenants consume cloud resources easily and efficiently. By allowing tenants to consume vCloud Director resources, it allows them to take advantage of more powerful features when dealing with full disaster, or the failure of individual workloads. Not only will full or partial failovers be more transparent with the use of the vCloud Director HTML5 Tenant UI, but networking functionality will also be enhanced by tapping into VMware’s industry leasing Network Virtualization technology, NSX. With tenants able to view and access VM replicas via the vCloud Director HTML5 UI, they will have greater visibility and access before and after failover events. The vCloud Director HTML5 UI will also allow tenants to see what is happening to workloads as they boot and interact with the guest OS directly, if required. This dramatically reduces the reliance on the service provider helpdesk and ensures that tenants are in direct control of their replicas. Put all that together with the ability to manage and configure everything through the vCloud Director HTML5 UI and you start to get an understanding of how utilizing NSX via vCloud Director enhances Cloud Connect Replication for both service providers and tenants. There are also a number of options that can be used to extend the tenant network to the service provider cloud network when actioning a partial failover. Tenants and service providers can configure custom IPsec VPNs or use the IPsec functionality of the NSX Edge Gateway to be in place prior to partial failover. 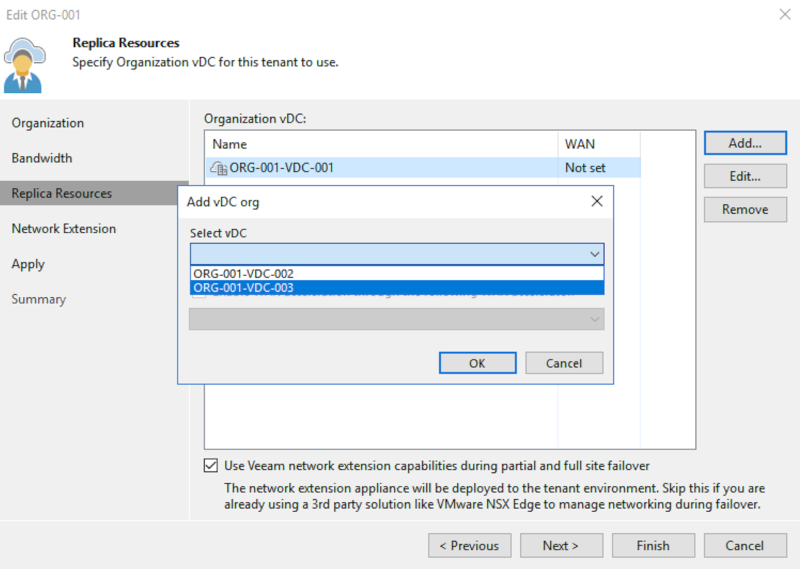 The Network Extension Appliance is still available for deployment in the same way as before Update 4 and can be used directly from within a vCloud Director virtual data center to automate the extension of a tenant network so that the failed over workload can be accessible from the tenant network, even though it resides in the service provider’s environment. For Veeam Cloud & Service Providers (VCSP) that underpin their backup and replication service offerings with Veeam Cloud Connect, the addition of vCloud Director support means that there is an even stronger case to deliver replication and disaster recovery to customers. For end users, the added benefits of the vCloud Director HTML5 UI, and enhanced networking services backed by NSX, means that you are able to have more confidence in recovering from disasters, and in your ability to provide greater business continuity. 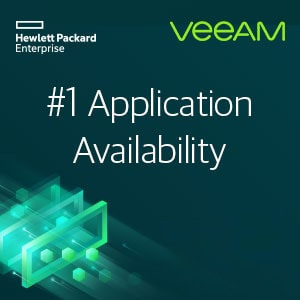 The post Enhancing DRaaS with Veeam Cloud Connect and vCloud Director appeared first on Veeam Software Official Blog. of data protection looks like. the most relevant to the VCSP community. 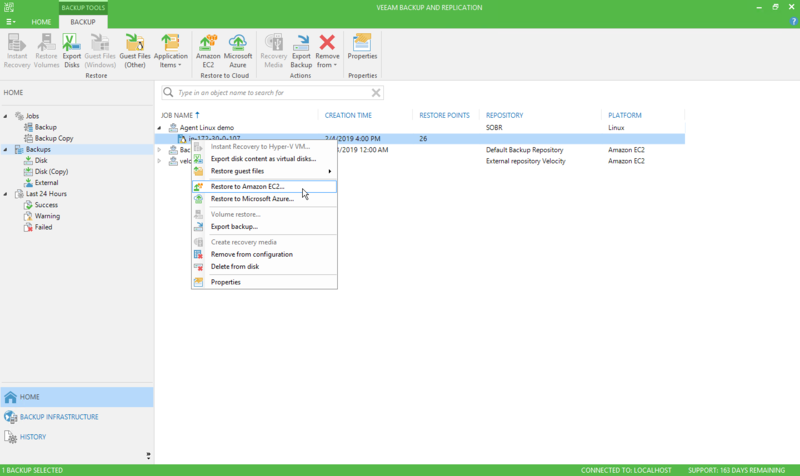 confidently provide managed services for remote Veeam installations. Can you believe it’s March already!? This months issue has everything from the enhancement of our ProPartner portal to Veeam being SAP HANA certified. Read more below! 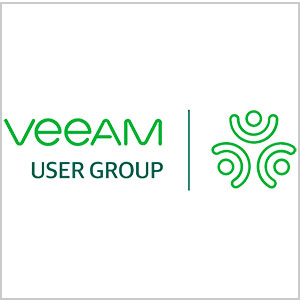 Veeam User Group meeting dates and locations! We’re excited to share the dates and locations of our upcoming Veeam User Group meetings! Our next events are Houston on 2/20, Dallas on 3/6, and Boston on 3/20. 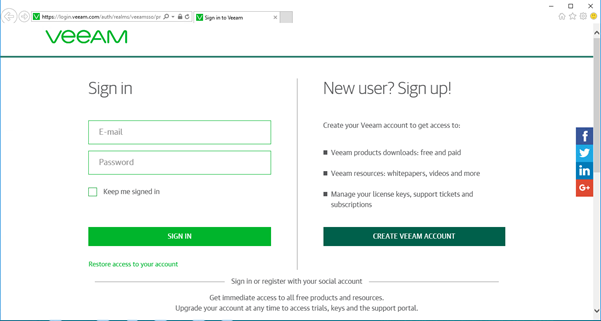 Direct your customers to https://go.veeam.com/user-groups.html to register. We will continue to add more dates and locations throughout the year. Please Note: Partners SHOULD NOT register to attend these events. Customers only. Thank you! What about the cloud (instead)? SAP HANA integrated backup is here! SAP HANA is one of the most critical enterprise applications out there, and if you have worked with it, you know it likely runs part, if not all, of a business. In Veeam Availability Suite 9.5 Update 4, we are pleased to now have native, certified SAP support for backups and recoveries directly via backint. SAP HANA’s in-memory database platform also requires that a backup solution be integrated and aware of the platform. This SAP HANA support helps you to have certified solutions for SAP HANA backups, reduce impact of doing backups, ensure operational consistency for backups, and leverage all of the additional capabilities that Veeam Availability Suite has to offer. This also includes point-in-time restores, database integrity checks, storage efficiencies such as compression and deduplication as well. This milestone comes after years of organizations wanting Veeam backups with their SAP installations. We spent many years advocating on backing up SAP with BRTOOLS and leveraging image-based backups as well to prepare for tests. Now, the story becomes even stronger with support for Veeam to drive backint backups from SAP and store them in a Veeam repository. 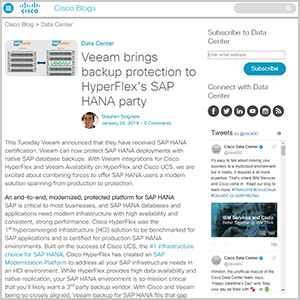 Specifically, this means that a backint backup can happen for SAP HANA and Veeam can manage the storage of that backup. 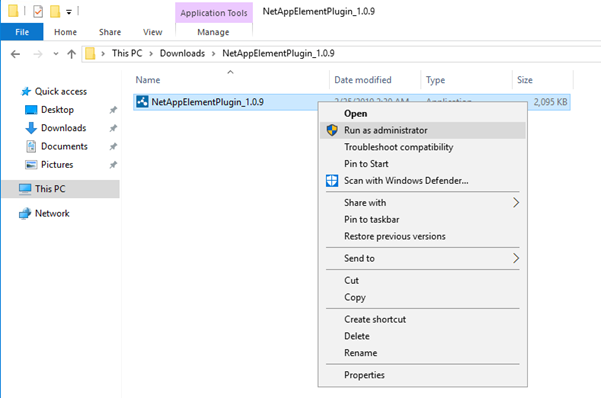 It is important to note now that the Veeam SAP Plug-In, which makes this native support work, is also supported for use with SAP HANA on Microsoft Azure. 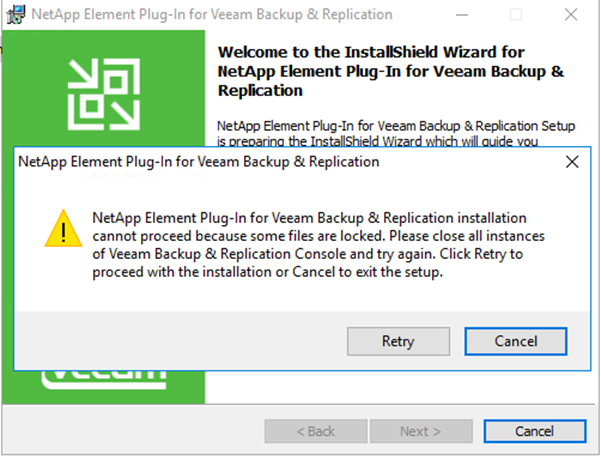 The Veeam Plug-In for SAP HANA becomes a target available for native backups with SAP HANA Studio for backups of a few types: file-based backups, snapshots and backint backups. When backups are performed in SAP HANA Studio, a number of different types and targets can be selected. This is all native within the SAP HANA application and SAP HANA tools like SAP HANA Studio, SAP HANA Cockpit or SQL based command line entries. These include file backups (plain copies of files) and complete data backups using backint. Backint is an API framework that allows 3rd-party tools (such as Veeam) to directly connect the backup infrastructure to the SAP HANA database. The backint backup is configured to have a backup interval set in SAP HANA Studio, and that interval can be very small – such as 5 minutes. 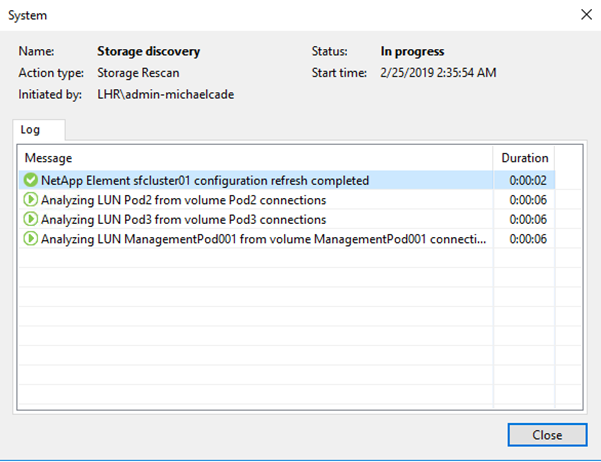 It is also recommended to do the backup with log backups (again, configured in SAP HANA Studio) to enable more granular restores which will be covered a bit later on. One of the key benefits of doing a backint backup of SAP HANA is that you can do direct restores to a specific point in time – either from snapshots or from the backint backups with point-in-time recovery. This is very important when considering how critical SAP HANA is to many organizations. So, when it comes to how often a backup is done, select the interval that works for your organization’s requirements and make sure the option to enable automatic log backup is selected as well. Bring on the Enterprise applications! Application support is a recent trend here at Veeam, and I do not expect this to slow down any time soon! 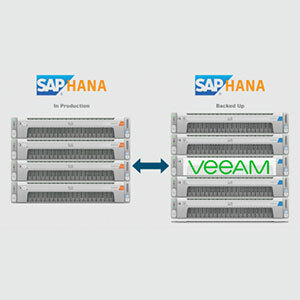 The SAP HANA Plug-In support, along with the Oracle RMAN plug-in, are two big steps in bringing application support to Veeam for critical, enterprise applications. 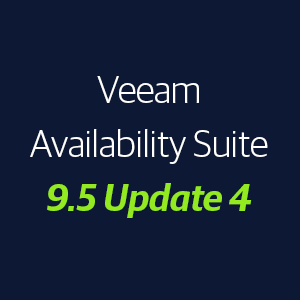 You can find more information on Veeam Availability Suite 9.5 Update 4 here. The post SAP HANA integrated backup is here! 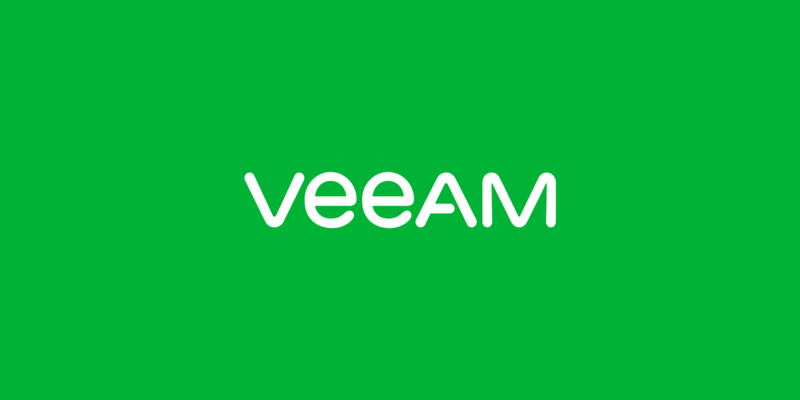 appeared first on Veeam Software Official Blog. Veeam Software narrowly missed its goal to become a $1 billion revenue company in 2018, falling $37 million shy and probably six months short. 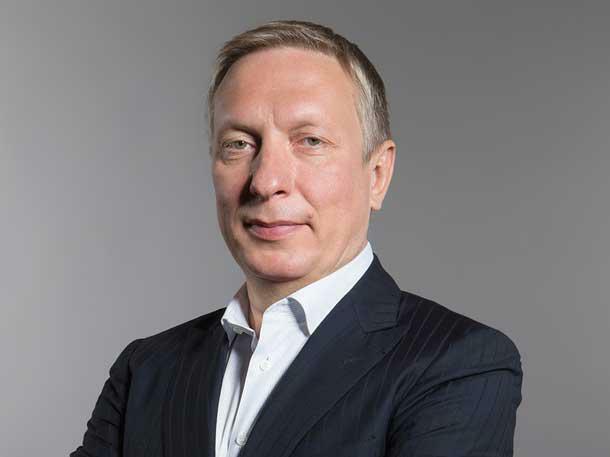 Veeam founder and executive vice president Ratmir Timashev said Veeam finished 2018 with $963 million in bookings revenue after 16% growth over 2017. Timashev said he expects to break $1 billion for the trailing 12 months by the end of the second quarter of 2019. Timashev said it was a “slight disappointment” to miss the billion-dollar Veeam revenue goal for the year. He said Veeam revenue came up a bit short because it “under invested” in its traditional SMB and commercial markets to concentrate on moving into the enterprise. But he predicted the enterprise strategy — including reseller deals with Hewlett Packard Enterprise, Cisco, NetApp and Lenovo — will lead to greater growth in the long run. The Veeam revenue growth also slowed last year, after 36% growth during 2017. Fresh off a $500 million investment from Insight Venture Partners in January, Timashev said privately held Veeam will pursue acquisitions and chase more multi-cloud customers to grow in 2019. “For us, 2019 is the most important year in the history of the company,” Timashev said. That’s because of a shift in the industry to multi-cloud and hybrid cloud use, and the battle to win that market. Timashev said the latest update to Veeam Availability Suite 9.5 plays into that strategy. Update 4 focused on facilitating tiering and migrating data into public clouds. Veeam has a slightly new look to its executive team in early 2019 than it had at the start of 2018, although the new bosses are really the same as the old bosses. The departure of co-CEO Peter McKay in October left Timashev’s founder partner Andrei Baronov as the lone CEO. Baronov runs product strategy, research and development. Timashev handles sales and marketing in place of McKay, and executive vice president of operations William Largent remains in charge of legal and finance. 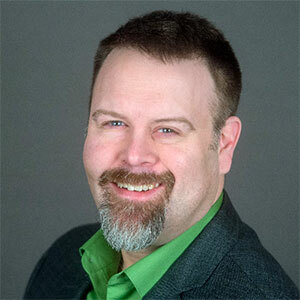 Largent joined Veeam in 2008 – two years after Timashev and Baronov started the company – and the trio worked together at Aelita Software before that. All three have held the Veeam CEO job during the company’s lifetime. Veeam has been profitable since 2009, Timashev said. He said the vendor had $800 million in cash and investments before the recent half-billion dollar investment from Insight Venture Partners. But it has not invested much in acquisitions over the years. In late 2017, Veeam bought AWS data protection company N2WS in its first acquisition in 10 years and it has not bought another company since then. That is expected to change in 2019. Timashev would not disclose potential acquisition targets but said Veeam has some gaps in cloud data management. 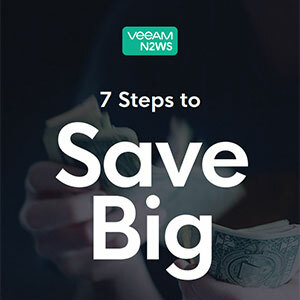 Other potential technologies Veeam could acquire include analytics, machine learning/artificial intelligence, data compliance and data governance. Container protection is another area Veeam is exploring in 2019, following inquiries from customers. Veeam is also expanding internally. The vendor plans to add 500 software developers to its research and development office in Prague. 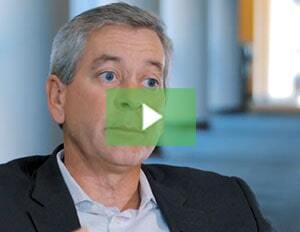 Veeam has about 3,500 employees worldwide with plans to add an additional 1,000 this year. Timashev said Veeam’s Backup for Microsoft Office 365 is its “fastest growing product of all time.” About 55,000 organizations have downloaded the Office 365 backup, representing more than 7 million user mailboxes, according to Veeam. 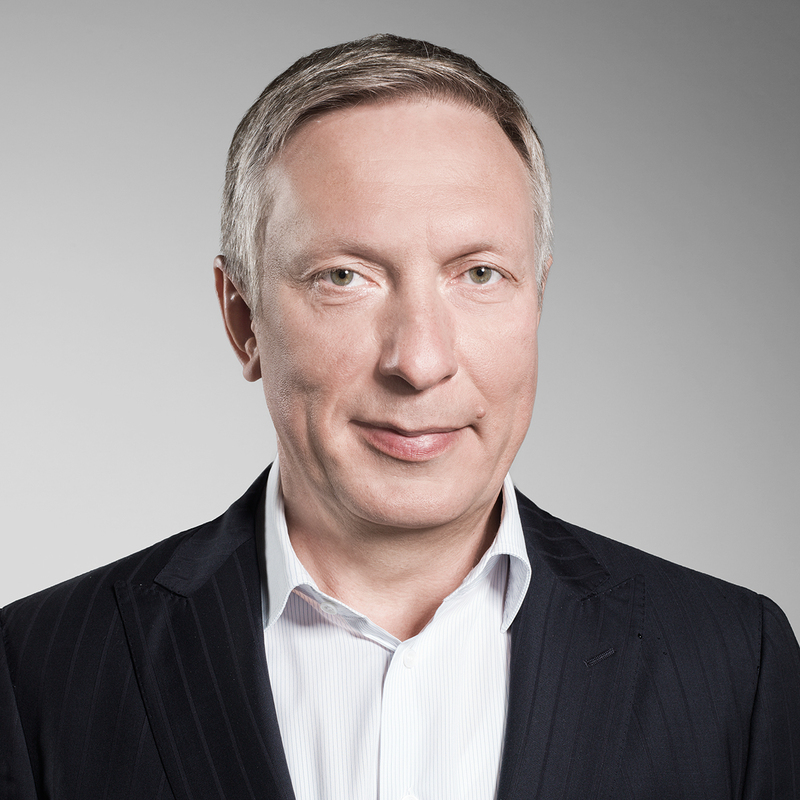 Timashev said he expects $175 million in Veeam revenue from its enterprise hardware customers in 2019. He said Veeam will continue to partner with hardware vendors rather than follow rivals Commvault, Veritas and Dell EMC into selling branded appliances. Are you thinking of backing up your Microsoft Office 365 Exchange Online and wish to size your backup accurately? Is there any way to measure the total size of your consumed Exchange Online storage, Change rate and more? The answers to these questions are essential when it comes to sizing backup solutions. You must know the storage needed to store the backed up data and the backup solution components (Server roles). In the era of Software as a Service (SaaS), it’s challenging to acquire this information, and then to get access to it. This makes solution sizing a challenging exercise for any business. Let us consider the following scenario to understand the challenge that a business faces when they want to undertake sizing and backup of their Exchange Online. To use a specific example, I will consider the Veeam Backup for Office 365 product to simplify the discussion. The good news is that Microsoft offers several ways to pull this info from Office 365; you can use either PowerShell, or MS Graph API. In this example, I will discuss the MS Graph API to show you how to easily retrieve the mailbox size and change rate, and more, to size the Veeam Backup Repository and the Veeam Backup infrastructure. 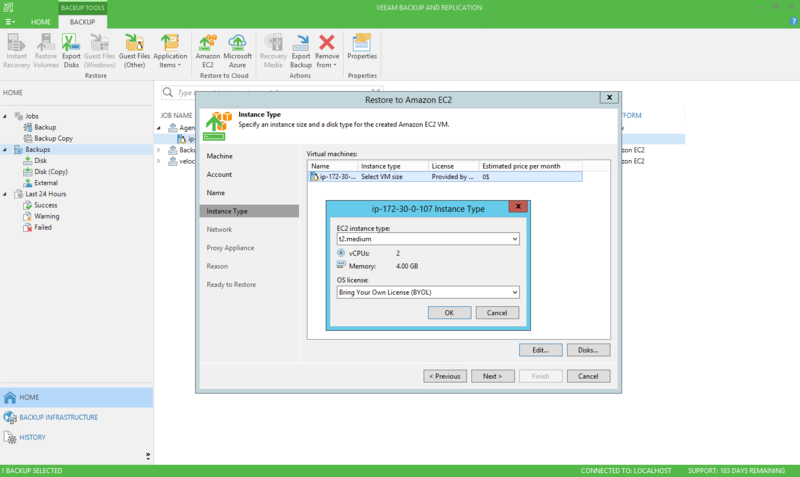 Veeam Software has released a great sizing guide to show you how to size the Veeam Backup for Office 365 Exchange Online. To access the guide, press this link. All of that has already been assembled in a very small WebApp that you can use this link to access. You need only your Microsoft account to access your tenant Office 365 subscription. When accessing the WebApp link, you will be greeted by a Connect Button. This will redirect you to the Microsoft Azure login page, a standard Microsoft secure Azure login to acquire the Graph token. With that information acquired, the WebApp will help with sizing the Veeam Backup Repository, and also return the number of Proxies, Repositories, VBO server and Jobs you need to fully protect your Exchange Online. The WebApp is a tool that I wanted to implement to help me to get an initial understanding of the size of the Exchange Online deployment for my customers and service providers. With this WebApp, the data gathering and the sizing on the Veeam VBO infrastructure has become simple and fast. This helps customers to size their storage and calculate their budget before they start the sales cycle. Over the following days I will be working on version two of the WebApp. I will be adding more functionality, like estimating the size of the OneDrive and SharePoint drives, and other exciting features. So, if you have any feedback or suggestions, they will be most welcome. The post VBO Office 365 Analysis with MS Graph appeared first on CloudOasis. I mentioned, when talking with a customer, about how I had to update my Visio of my home lab with the changes I had done recently. There were groans and I asked why. The amount of work to update Visio diagrams. I said there was very little work as I had a tool that did the work. I said that Veeam ONE can do a Visio of your VMware infrastructure and they laughed. So here we go. You will need a Windows machine with Visio installed. 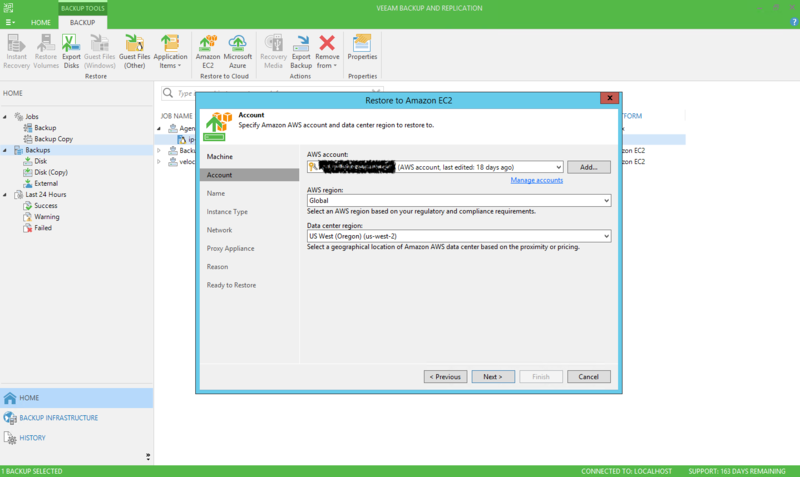 First you should access the Veeam ONE Reporter – which is normally https://FQDN:1239. After authentication you will see a collection of reports. The report that has an output that we can use with Visio is in the Offline Reports folder – seen near the end of the list. When you look into the Offline Reports folder you see what we are after! 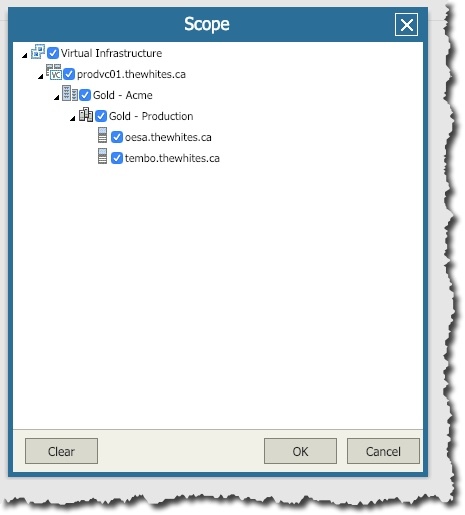 So click on the Infrastructure Overview (Visio) report name. We need to confirm the scope of operations. So click on the blue Virtual Infrastructure link. I can see my infrastructure is all selected so that is good. Now we can use OK to return. Now if you want VMs included in your diagram, and I do, you can select the VM checkbox. Once your Include VMs is checked, or not checked, you can hit the Preview button. Once you hit that button, you will see a brief collecting data dialog, or if you have a very big lab it will take a little longer. One it is done you will have a file downloaded. No matter how hard you try and load this file into Visio it will not work. You must download the Veeam Report Viewer. Which, BTW, is not a viewer. It is a translate tool. You need to download it and install it where Visio is. Also move the infrastructure.vmr where the Viewer and Visio is. The viewer installs very fast and leaves an icon on your desktop. Start up the tool, and you should see something like below. You can see I used it once already successfully. 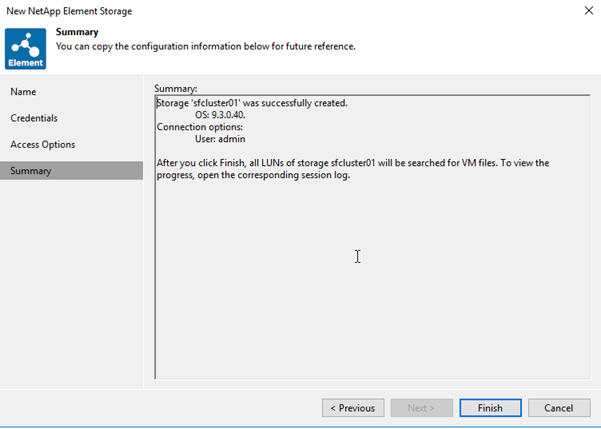 Lets use the File \ Open option to load the infrastructure.vmr file. It takes a few minutes, but we are waiting for it to say done. 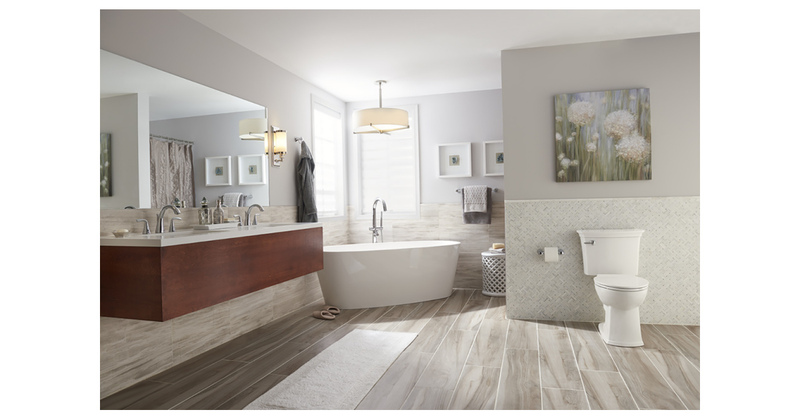 Depending on the size and complexity of your environment it could take a few minutes. Once it is done it will pop up Visio. But put it away for now. We want to see the viewer to make sure it was a success. After all, this is not about one diagram but a multiple of them! Now you change to the following folder on the machine where the Viewer and Visio were. 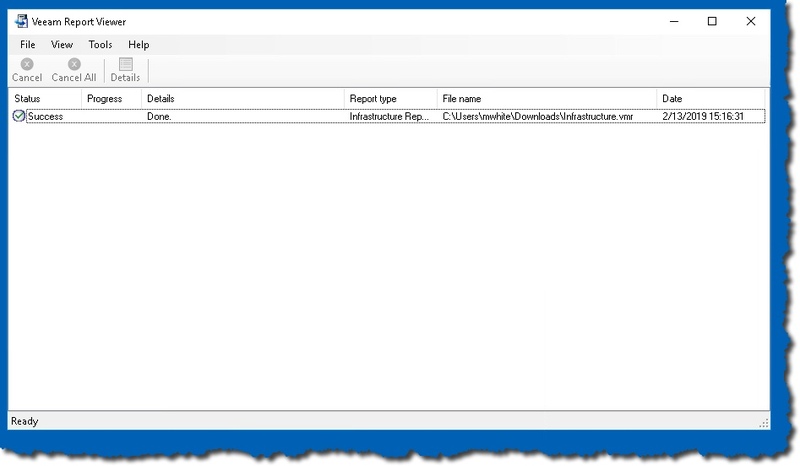 Each day you run the Viewer it will put another folder into the My Veeam Reports folder. As you can see below it is the Valentine’s day folder we are in. The Index is an overview, and the config one shows what is powered up or not but the others are what you think. And they print nice. So now you have Visios of your lab or infrastructure, it may have took you a few minutes to get it all done the first time, but the second or third is much faster. BTW, I did this with Update 4 of Veeam ONE, and 6.7 U1 of vSphere. Today, ransomware and malware attacks are top of mind for every business. In fact, no business, large or small is immune. What’s even more concerning is that ransomware attacks are increasing worldwide at an alarming rate, and because of this, many of you have expressed concern. 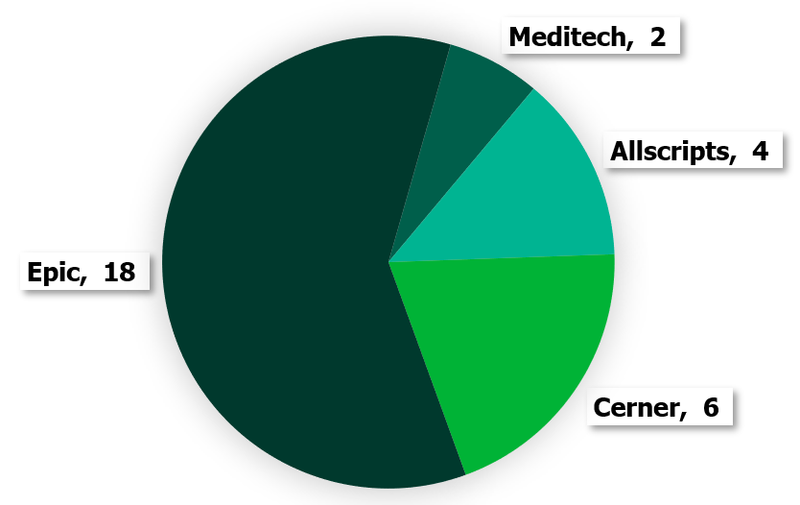 In a recent study administered by ESG, 70% of Veeam customers indicated malicious malware and virus contamination are major concerns for their businesses (source: ESG Data Protection Landscape Survey). 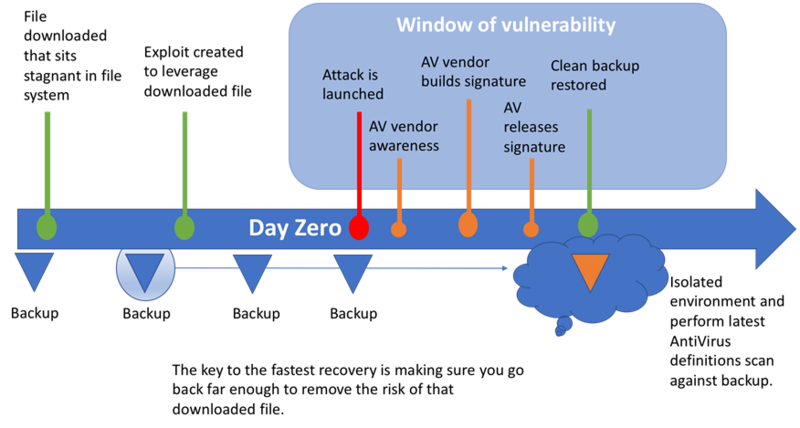 There are obviously multiple ways your environment can be infected by malware; however, do you currently have an easy way to scan backups for threats before introducing them to production? If not, Veeam DataLabs Secure Restore is the perfect solution for secure data recovery! The premise behind Veeam DataLabs Secure Restore is to provide users an optional, fully-integrated anti-virus scan step as part of any chosen recovery process. This feature, included in the latest Veeam Backup & Replication Update 4 addresses the problems associated with managing malicious malware by providing the ability to assure any of your copy data that you want or need to recover into production is in a good state and malware free. To be clear, this is NOT a prevention of an attack, but instead it’s a new, patent-pending unique way of remediating an attack arising from malware hidden in your backup data, and also to provide you additional confidence that a threat has been properly neutralized and no longer exists within your environment. Sounds valuable? If so, keep reading. Veeam offers a number of unique recovery processes for different scenarios and Veeam DataLabs Secure Restore is simply an optional enhancement included in many of these recovery processes to make for a truly secure data recovery. It’s important to note though that Secure Restore is not a required, added step as part of a restore. Instead, it’s an optional anti-virus scan that is available to put into action quickly if and when a user suspects a specific backup is infected by malware, or wants to proceed with caution to ensure their production environment remains virus-free following a restore. The workflow for Secure Restore is the same regardless of the specific recovery scenario used. Once Secure Restore is enabled you are presented with a few options on how to proceed when an infection has been detected. 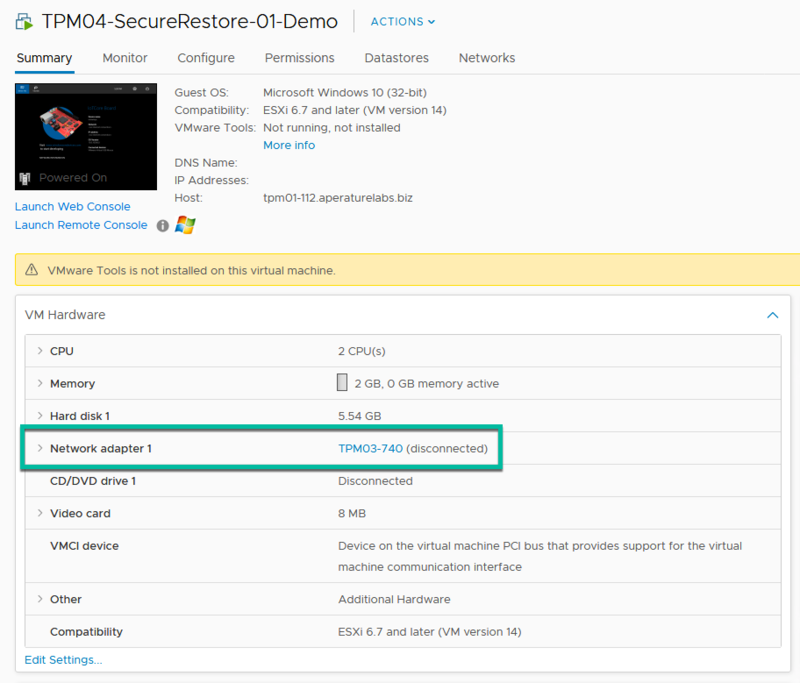 For example, with an Entire VM recovery, you can choose to continue the recovery process but disable the network adapters on the virtual machine or choose to abort the VM recovery process. In the event an actual infection is identified, you also have a third option to continue scanning the whole file system to protect against other threats to notify the third-party antivirus to continue scanning, to get visibility to any other threats residing in your backups. As you work inside the wizard and the recovery process starts, the first part of the recovery process is to select the backup file and mount its disks to the mount server which contains the antivirus software and the latest virus definitions (not owned by Veeam). Veeam will then trigger an antivirus scan against the restored disks. For those of you familiar with Veeam, this is the same process leveraged with Veeam file level recovery. Currently, Veeam DataLabs Secure Restore has built-in, direct integrations with Microsoft Windows Defender, ESET NOD32 Smart Security, and Symantec Protection Engine to provide virus scanning, however, any antivirus software with CMD support can also interface with Secure Restore. 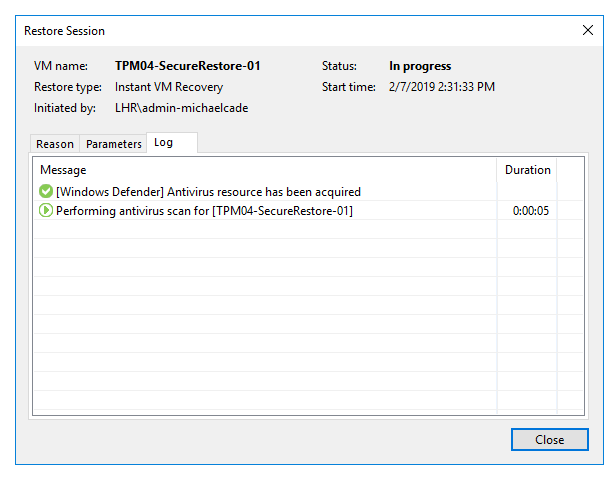 As a virus scan walks the mounted volumes to check for infections, this is the first part of the Secure Restore process. 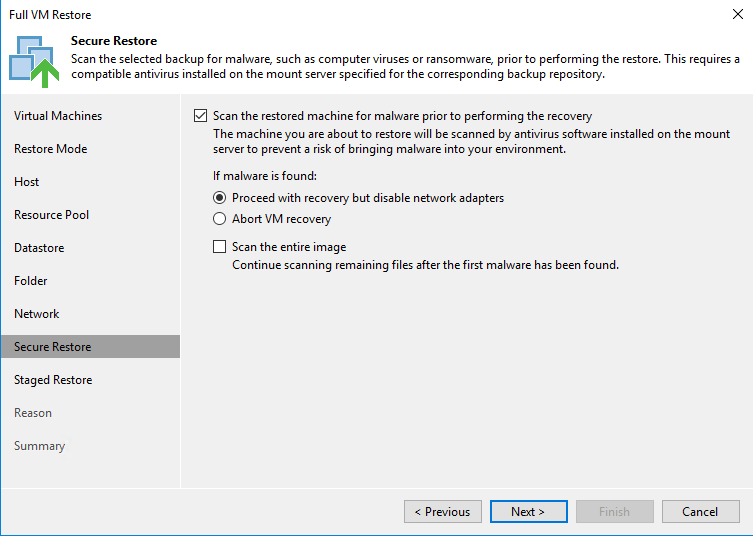 If an infection is found, then Secure Restore will default to the choice you selected in the recovery wizard and either abort the recovery or continue with the recovery but disable the network interfaces on the machine. In addition, you will have access to a portion of the antivirus scan log from the recovery session to get a clear understanding of what infection has been found and where to locate it on the machine’s file system. This particular walkthrough is highlighting the virtual machine recovery aspect. Next, by logging into the Virtual Center, you can navigate to the machine and notice that the network interfaces have been disconnected, providing you the ability to login through the console and troubleshoot the files as necessary. Probably my favourite part of this new feature is how Secure Restore fits within SureBackup, yet another powerful feature of Veeam DataLabs. 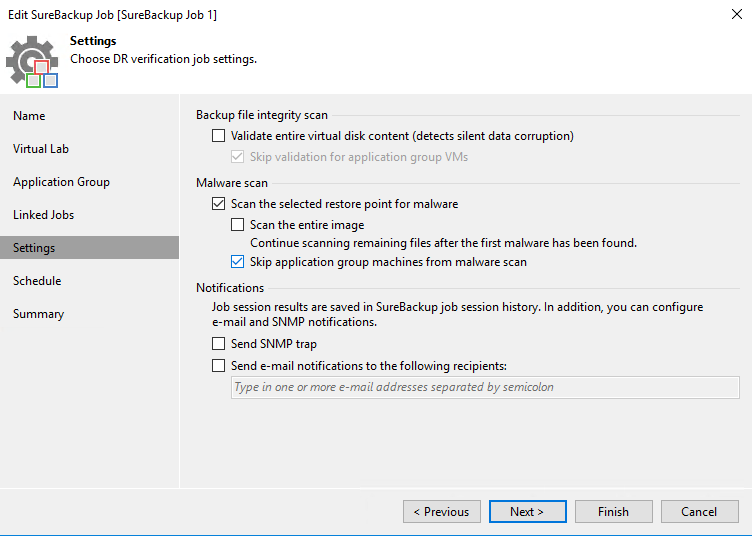 For those of you unfamiliar with SureBackup, you can check out what you can achieve with this feature here. 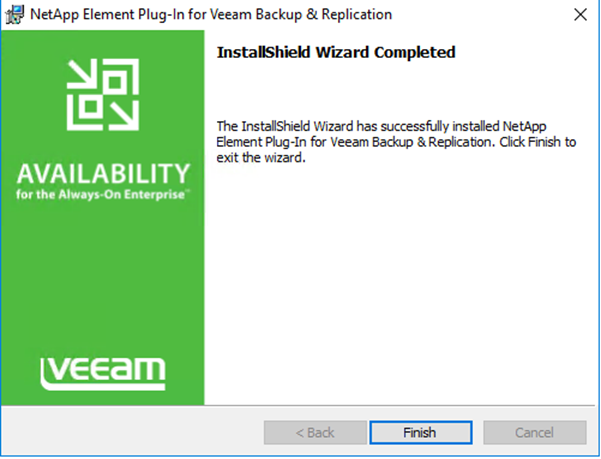 SureBackup is a Veeam technology that allows you to automatically test VM backups and validate recoverability. This task automatically boots VMs in an isolated Virtual Lab environment, executes health checks for the VM backups and provides a status report to your mailbox. With the addition of Secure Restore as an option, we can now offer an automated and scheduled approach to scan your backups for infections with the antivirus software of your choice to ensure the most secure data recovery process. Finally, it’s important to note that the options for Veeam DataLabs Secure Restore are also fully configurable through PowerShell, which means that if you automate recovery processes via a third-party integration or portal, then you are also able to take advantage of this. The post How to improve security with Veeam DataLabs Secure Restore appeared first on Veeam Software Official Blog. object storage integration and new cloud mobility options. 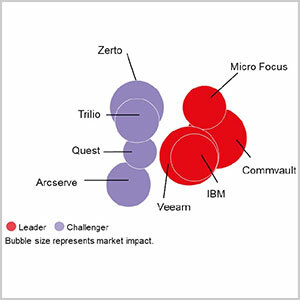 revenue in their organization through channel partners. MARLBOROUGH, Mass.–(BUSINESS WIRE)–ExaGrid®, a leading provider of intelligent hyperconverged storage for backup, today announced that since 2009, ExaGrid has continued to provide American Standard with fast and reliable data backups and restores throughout the evolution of the company’s IT environment and substantial data growth. VBR to replicate the Domain Controller to the DR site. Add a Lab Group for any necessary support services – like AD to your Virtual Lab. How to move your business to the cloud in 2 steps! Recently Veeam expanded on its existing cloud capabilities with the greatly anticipated release of Veeam Availability Suite 9.5 Update 4. This release has produced an overarching portability solution, Veeam Cloud Mobility, which contains support for restoring to Microsoft Azure, Azure Stack as well as AWS. In this blog, we’ll cover the business challenge these restore capabilities solve, how businesses can use them, and the advantage of using Veeam’s features over comparable features in the market. As more and more businesses look to move their data and workloads to the cloud, they can encounter some challenges and constraints with their current backup solutions. Many backup solutions today require complex processes, expensive add-ons, or require that you perform manual conversions to convert workloads for cloud compatibility. 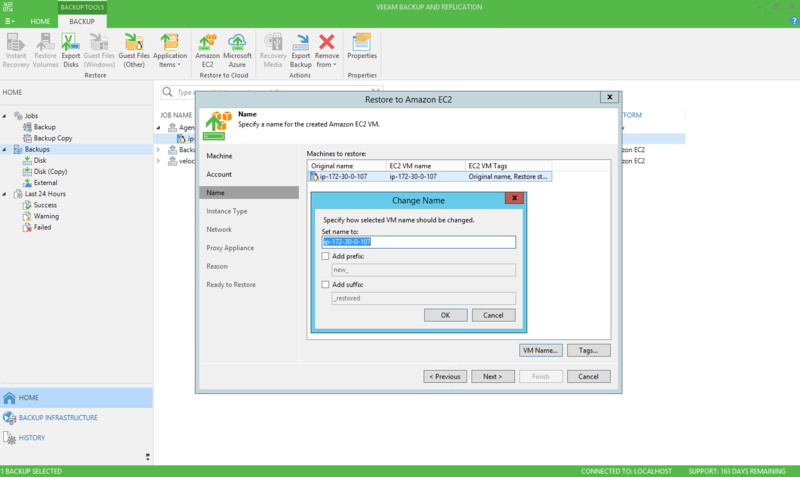 With the latest release of Veeam Availability Suite 9.5 Update 4, Veeam has delivered a more comprehensive set of restore options with the NEW Veeam Cloud Mobility. Veeam Cloud Mobility builds on the existing Direct Restore to Microsoft Azure with new restore capabilities to Microsoft Azure Stack as well as AWS. Veeam Cloud Mobility allows users to take any on-premises, physical and cloud-based workloads and move them directly to AWS, Microsoft Azure and Microsoft Azure Stack. When I say “any workload,” I mean it! 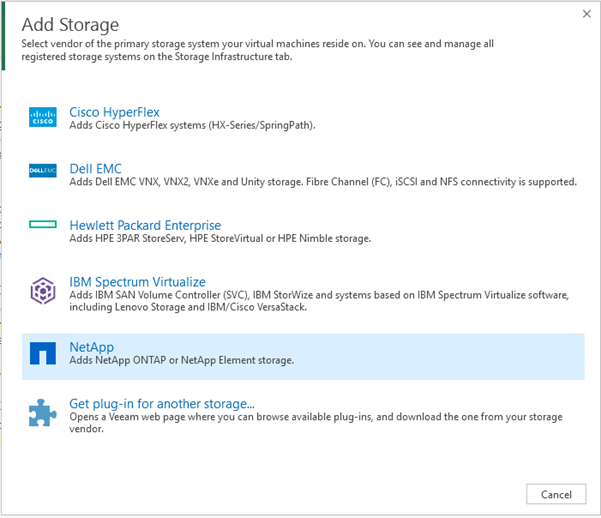 Whether a virtual machine is running on VMware vSphere, Microsoft Hyper-V or Nutanix AHV, a physical server or an endpoint — anything that can be put into a Veeam repository can then be restored directly to the cloud. 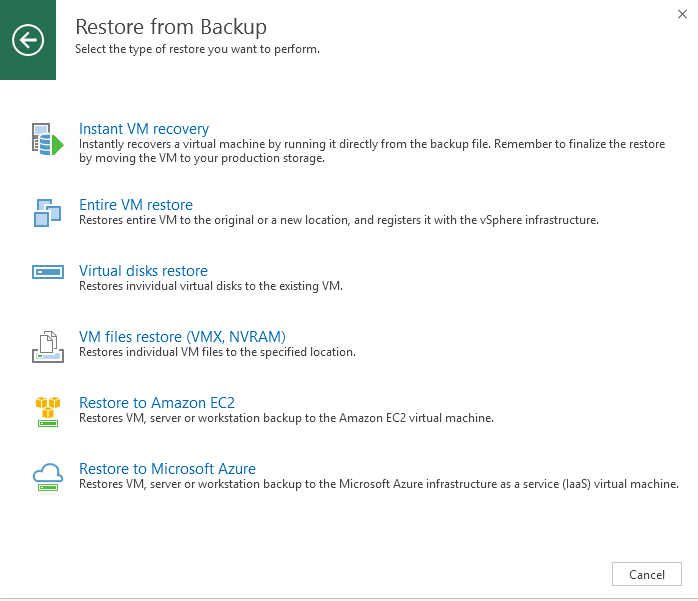 And the good news is these restore features are included in any edition of Veeam Backup & Replication 9.5 Update 4. 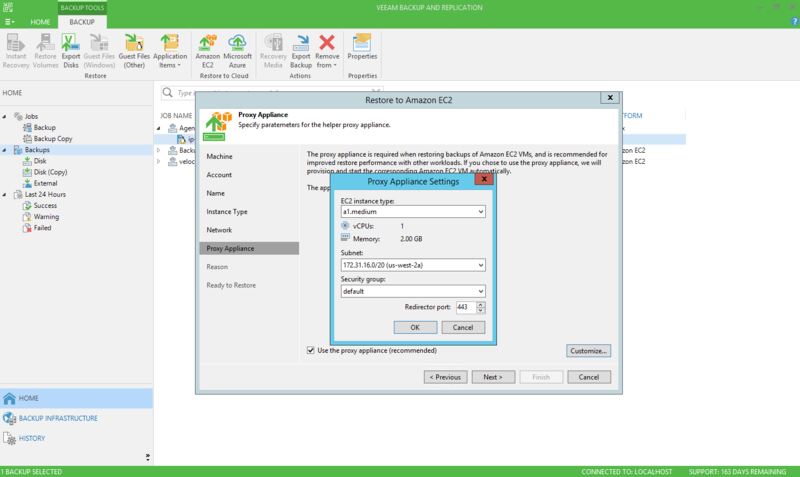 In addition to the simplicity of a 2-step process, with Veeam’s Direct Restore to AWS, there is a built-in UEFI to BIOS conversion which means there are no manual conversions needed to restore modern Windows workstations to the cloud. And, with the new Direct Restore to Microsoft Azure Stack feature, customers can get the added benefit of being able to move workloads from Microsoft Azure to Azure Stack. By doing so, unlocking the unlimited scalability and cost-efficiency of a true hybrid cloud model. Another primary benefit for businesses is that Veeam Cloud Mobility can be used for data recovery in emergency situations. For instance, if a site failure occurs, you will be able to easily restore your backed-up workloads, spinning them up as virtual machines in AWS, Azure and Azure Stack. Then as the smoke clears, you will be able to gain and provide access to the restored VMs. Unlike our Veeam Cloud Connect feature offered through our Veeam Cloud and Service Provider (VCSP) partners, Veeam Cloud Mobility is not considered a disaster recovery solution designed to meet strict RTOs or RPOs. Rather, this an efficient restore feature that gives you a simple, affordable game plan to gain eventual access to workloads should a disruption ever happen to your primary site. Whether businesses need to test patches or applications, there is a big need for test and development. But many businesses find that conducting such tests locally puts a strain on their storage, compute and network. The cloud on the other hand is a ready-made testing paradise, where resources can be scaled up and down as needed on a dime. Veeam Cloud Mobility gives customers the ability to unlock the cloud for their test and development purposes, so they can conduct testing as frequently, quickly and affordably as needed without the constraints of a traditional infrastructure. Data portability is vital as part of an overall cloud strategy. With the NEW Veeam Cloud Mobility you can move ANY workload directly to AWS, Azure and Azure Stack to maintain the portability you need to leverage the power of the cloud. Whether for data portability, recovery needs or test and dev — Veeam Cloud Mobility helps make workload portability easy. The post How to move your business to the cloud in 2 steps! 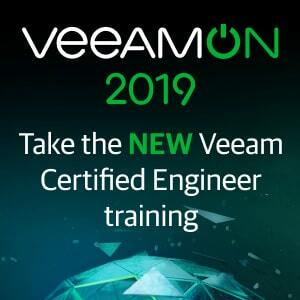 appeared first on Veeam Software Official Blog. BAAR, Switzerland–(BUSINESS WIRE)–Veeam® Software, the leader in Backup solutions that enable Intelligent Data Management™, today announced results from fiscal year 2018, fresh off of a $500 million investment from Insight Venture Partners and Canada Pension Plan Investment Board (CPPIB) in early January – one of the largest investments in the history of storage software. Veeam delivered $963 million in total bookings – 16 percent growth year-over-year (YoY) and its 12th consecutive year of organic double-digit bookings growth, as it added 48,000 new customers in 2018, an average of 4,000 new customers each month. 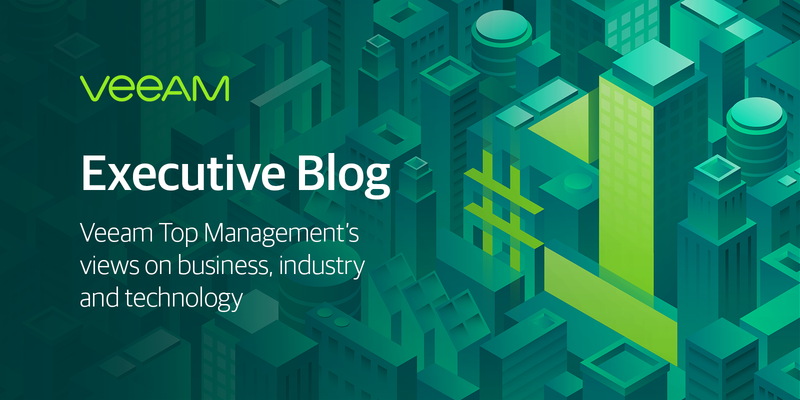 This strong customer momentum and bookings growth builds on 2017 results outpacing the industry, and validates the growing demand for Veeam Intelligent Data Management solutions in businesses of all sizes across the globe. All organizations are experiencing explosive data growth. Data growth continues to accelerate at almost exponential speed and with that comes pain points of organizations trying to manage that growth. More data means more robust applications to handle larger data sets, which also means more infrastructure to handle applications and the data itself. While the cost and management of on-premises storage has come down as hardware and disk technologies improve, organizations still face significant overhead when maintaining their own hardware infrastructure. Taking that a step further as it relates to backups, when you combine the growth of data together with more strict regulations around data retention, the challenges that come with managing storage platforms for production and backup workloads becomes even more complex. The reality persists that organizations still struggle to achieve the economy of scale both from an operational and cost point of view that makes storing data long term viable. Object Storage has fundamentally shifted the storage landscape, mainly due to its popularity in the public cloud space but also because it offers advantages over traditional block and file-based storage systems. Object Storage overcomes many of the limitations of file and block due to its design and fundamental concept of being able to scale out infinitely. Because a large percentage of backup data is considered to be for long-term retention. Object Storage seems to be a perfect fit. Though the likes of Amazon, Azure and IBM Cloud offer Object Storage, the amount of organizations that have deployed Object Storage to their on-premises environments remains relatively low. The popular trend is to consume cloud-based Object Storage platforms to take advantage of the hyper-scalers own economies of scale which can’t be matched. With the cost of storage at fractions of a cent per GB, organizations desire to consume cloud-based Object Storage has increased and many have been made aware of its benefits. With the launch of Update 4 for Veeam Backup & Replication 9.5, we have added Veeam Cloud Tier as a new innovative way to extend backup repositories to the cloud effectively delivering an infinitely scalable Scale-out Backup Repository. 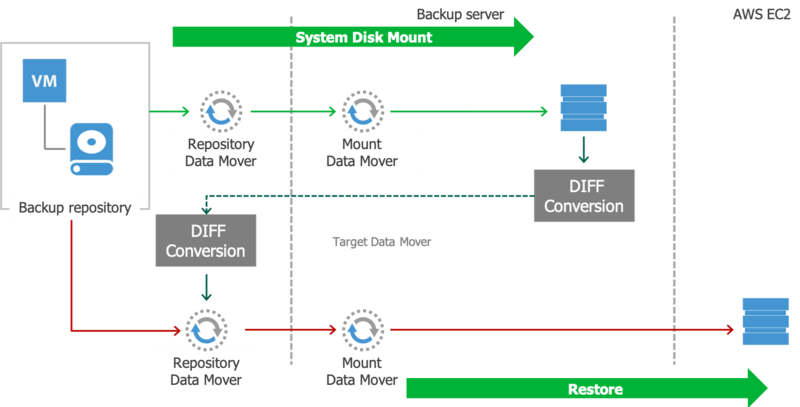 By using the new Object Storage Repository as a Capacity Tier Extent as part of the Scale-out Backup Repository, we have fundamentally changed the way in which organizations and our Veeam Cloud & Service Provider (VCSP) partners will think about how they design and architect backup repositories. 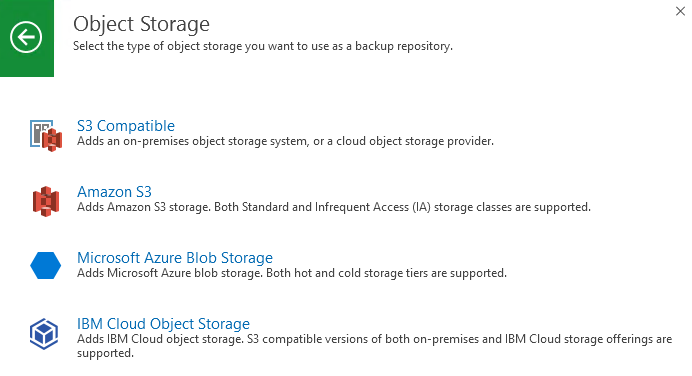 By extending the Scale-out Backup Repository to take advantage of Object Storage, whether that be Amazon S3, Azure Blob, IBM Cloud Object Storage or any S3-Compatible platform (hosted or internal), we have enabled this feature to take advantage of cloud storage technologies to tier data blocks and offload them from the local Scale-out Backup Repository Performance Tier extents to Capacity Tier extents which can be configured to consume storage services as shown below. How is Veeam Cloud Tier different? Just stepping back to think about what that means. With Veeam Cloud Tier you are now able to recover or restore directly from Object Storage without the need for any additional, potentially expensive components. With that, you can start to understand just how innovative a feature Veeam Cloud Tier is! In addition to that, we have built in further space saving efficiencies in the form of effective source side dedupe where by the same blocks of data are not offloaded to Object Storage, reducing the amount of consumed storage and reducing data transfer times up to the Capacity Tier. We have also added Intelligent Block Recovery that will source data blocks from the local backup files instead of what is tiered to Object Storage resulting in not only faster recovery times, but more importantly, cost savings when pulling data back when using Object Storage services that charge for egress. For all Veeam customers and partners, both end users and VCSP partners alike, Veeam Cloud Tier represents an important inflection point in the way in which backup repositories are designed and built. No longer are there limitations on how big backup repositories can grow before complications arise from the accelerated growth of data. We have leveraged the power of the cloud with the efficiencies and cost savings of Object Storage platforms to deliver a feature that is unique in the market and we have been able to deliver this in such a way that no industry leading Veeam functionality has been lost. Update 4 is now Generally Available and can be downloaded here. 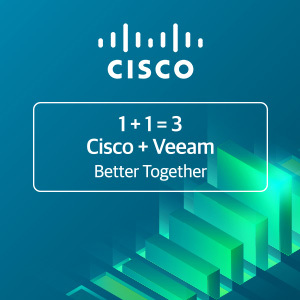 The post How to restore and convert your workloads directly to the cloud appeared first on Veeam Software Official Blog.